Nasa is set to launch world's first zero-G-ready 3D printer into space next year, during its resupply mission to the International Space Station, so that parts can be built on-demand in space. Space manufacturing company Made in Space's customised 3D printer will be the first device to manufacture parts away from planet Earth, researchers said. The 3D Printing in Zero-G Experiment will validate the capability of additive manufacturing in zero-gravity. "Imagine an astronaut needing to make a life-or-death repair on the International Space Station," said Aaron Kemmer, CEO of Made in Space on the company's website. Rather than hoping that the necessary parts and tools are on the station already, what if the parts could be 3D printed when they needed them? said Kemmer. All space missions today are completely dependent on Earth and the launch vehicles that send equipment to space. The greater the distance from Earth and the longer the duration, the more difficult it will be to resupply materials. "As Nasa ventures further into space, whether redirecting an asteroid or sending humans to Mars, we will need transformative technology to reduce cargo weight and volume," Nasa Administrator Charles Bolden said during a recent tour of the agency's Ames Research Center at Moffett Field. "In the future, perhaps astronauts will be able to print the tools or components they need while in space," he said. The Made in Space and Nasa team envisions a future where space missions can be virtually self-sufficient and manufacture most of what they need in space. This includes such things as consumables, common tools, and replacements for lost or broken parts and eventually even such things as CubeSats (small, deployable satellites). "The 3D printing experiment with Nasa is a step towards the future. 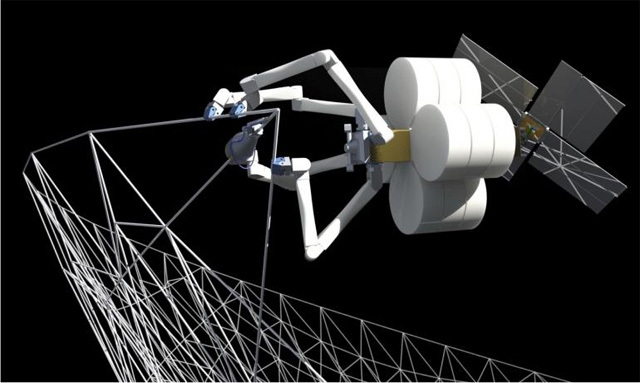 The ability to 3D print parts and tools on-demand greatly increases the reliability and safety of space missions while also dropping the cost by orders of magnitude," said Kemmer. "The first printers will start by building test coupons, and will then build a broad range of parts, such as tools and science equipment," Kemmer said. Both Made in Space and Nasa view the space station as the place to initiate the journey of in-space manufacturing. "We're taking additive manufacturing technology to new heights, by working with Made in Space to test 3D printing aboard the space station," said Michael Gazarik, Nasa's associate administrator for space technology in Washington. In preparation for the 2014 launch, Made in Space tested a diverse array of 3D printing technologies in zero-gravity in 2011 and is conducting additional tests this year. These micro-gravity tests provide the initial research that fed into the developments for the 3D Print experiment. The 3D Printer is built specifically to handle the environmental challenges of space and uses extrusion additive manufacturing, which builds objects layer by layer out of polymers and other materials.